There are two primary functions of motor oil – the first is to lubricate the moving parts of the engine so as to minimize friction, and the second is to protect the metal from corrosion and wear and tear. However, motor oil alone is not able to perform both functions properly on its own. 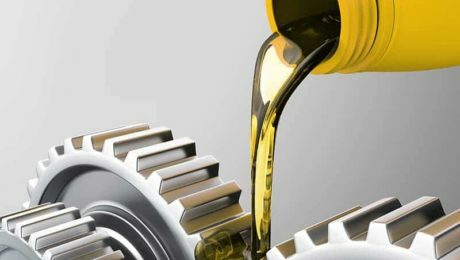 Hence, oil additives which contain the necessary chemicals to provide better lubrication and proper protection are mixed in with the motor oil. This enhances the performance of the base motor oil or lubricant. Polytron MTC (Metal Treatment Concentrate) is an antiwear oil additive that protects metal parts from wear and tear, but unlike other such additives, Polytron MTC is polarized. This means that when it is applied, the elements in the MTC are attracted to the metal surfaces where they permeate into the metal structure. Then, through a metallurgical process, a thin layer of polished, harder metal is formed which increases the wear resistance of the metal parts and increases durability by at least a hundred times more. This proprietary technology is what makes Polytron MTC the best oil additive available. Unlike most other motor oil additives, Polytron MTC does not include any viscosity index improvers (VIIs) or viscosity modifiers. There are also no PTFE (Polytetrafluoroethylene – Teflon is a well-known brand-name) or Molybdenum Disulfide (MoS2) solids. 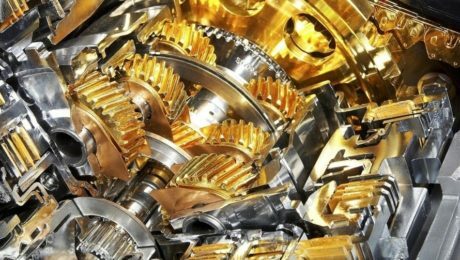 The purpose of the MTC is to increase the wear life of the metal engine parts by transforming the metallic surface itself to make it harder for more protection and more polished to reduce friction. Reduced friction will also lead to an improvement in fuel efficiency as well as power. All in all, Polytron MTC is not only the best because of its performance but also because it will save you a lot of expenses in the maintenance of your car. By adding 10% by volume to the base oil, Polytron MTC will ensure that your car’s engines are 95% more resistant to wear under extreme temperature and pressure. It is compatible with all motor oils and lubricants that are available in the market. It will also act as a dispersant by dissolving any contaminants or deposits and suspending them in the oil to prevent them from coagulating. As mentioned, just 10% of Polytron MTC will keep your car’s engine clean as well as reinforced to withstand wear. Suggested application is one 16 oz bottle to a 4-5 quart crankcase, first time application at least 200 miles before the car is due for an oil change. Successive applications can be made during alternate oil changes. 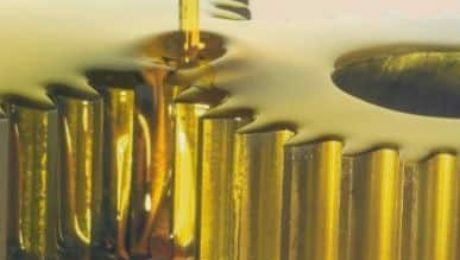 Penetrating lubricant is oil with very low-viscosity which is used to be used penetrate (hence the name) into narrow spaces between two metal parts or between threads. It is most specifically used to lubricate things like nuts and bolts so that the nuts can be removed easily. The oil is used to remove rust and other particles that may be causing blockage or additional friction. 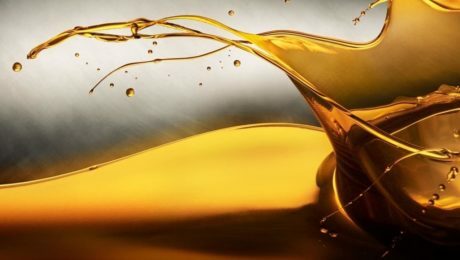 While it can be used as a general-purpose oil for lubrication and cleaning, it is not advisable to use penetrating oil for lubrication or protection against corrosion since it evaporates quickly and therefore becomes useless in those uses. Polytron PL can be used for general purpose – such as repairs around the home, cleaning and lubricating guns and fishing reels, and on small machinery – as well as on heavy equipment. It can be mixed with machining oil and other lubricants that can be applied to industrial machines. Polytron PL can break loose and remove extreme rust and other sticky blockage or residue, leaving your equipment parts moving smoothly. Moreover, Polytron MTC is incorporated in Polytron PL, making it the best penetrating lubricant in the market. The proprietary technology that makes Polytron MTC an industry leader treats the metal surfaces, making them harder and more polished through a penetrating metallurgical process. This makes the metal parts more durable while also reducing friction between moving metallic parts. Thus, efficiency of any machine is increased by applying Polytron PL. Polytron PL is free of any viscosity modifiers or PTFE (Polytetrafluoroethylene) or Molybdenum Disulfide (MoS2). It acts faster and for longer than other penetrating oils in the market, such as WD-40TM – Polytron PL lasts up to 20 times longer than WD-40TM penetrating oil. Home uses for Polytron PL include cleaning and lubricating hinges, locks and tools (like drilling machines). Industrial purposes include application in pneumatic tools, valves, and HVAC among others. General purpose usage can be anything from car repairs to cleaning electrical musical instruments and removing chewing gum stuck in unwanted places. Polytron PL is also available as a spray which is very useful is providing some force during application to remove seized rust or grime. Spray application also helps get to parts which are hard to access even though the penetrating lubricant may have low viscosity. It can be much easier to aim and apply the lubricant using spray cans when the parts are hard to reach. 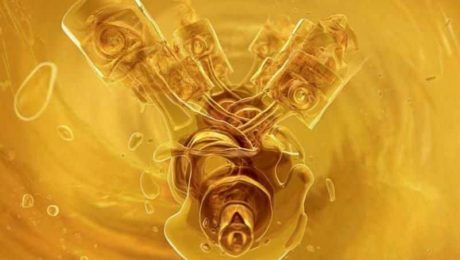 Synthetic oil is highly refined, distilled and purified, unlike conventional mineral oils. Due to this, it is able to provide more protection and allows better performance, leading to engines being in good condition for many more years. Synthetic oils are engineered to perform in extreme conditions. They are able to flow more freely than conventional mineral oils, which means they circulate faster when an engine is started. 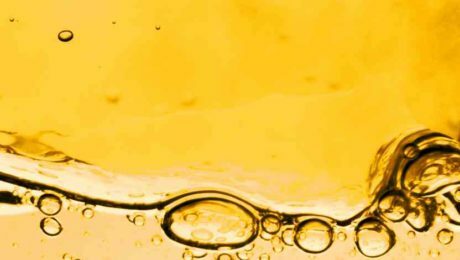 This is the reason why synthetic oils have been gaining popularity. In addition, synthetic oils are also known to be more environmentally friendly since they are cleaner and more refined. Polytron full synthetic motor oil does not have any PTFE (Polytetrafluoroethylene) or Molybdenum Disulfide (MoS2). It is a combination of high quality fully synthetic oil and Polytron MTC. This means that not only does it provide the benefits of synthetic oil, but it also maximises protection and performance that Polytron’s proprietary MTC technology provides. Polytron MTC is an oil additive which is able to convert metallic friction surfaces into smooth and hardened surfaces through a process in which a new micro-layer of metal is formed by combining with the existing metal structure. So, not only will your engine be lubricated more quickly and your emissions be reduced, but your engine will also be more wear-resistant. The fully synthetic oil combined with the Polytron MTC formula results in slower rate of oxidation of the oil and also lesser levels of contanimants in the oil. This means that you don’t have to change Polytron full synthetic motor oil as frequently as you would some other lubricant applied for the same purpose. It is available with 5W-30, 10W-30, 10W-40, 15W-40, and also other industrial grades. It can be used as a complete replacement of the lubricant in your car’s engine or any other mechanical equipment, whether it is light or heavy duty. It is compatible with all turbo-charged engines. Use Polytron full synthetic motor oil to maximize fuel mileage, improve performance through better power and torque, improve efficiency by reducing friction, improve wear-resistance of engine and equipment by up to 95%, increase lifespan of engine/equipment by 3 to 4 times, reduce emissions, and decrease maintenance costs. You can use it in modern engines as well as older engine models. The applications are wide – from trucks and buses to mining, farming and moving equipment to family cars and sports vehicles. “Okay, I don’t believe I’m really a cheapskate, but money’s always tight for one reason or another, but I do try to change the oil in my old pickup on my iffy schedule, because the little sticker they usually attach comes off before my next oil change. That means, when I feel pretty sure the change is overdue, it is. And I go to the cheapest place around. Sometimes I run into a coupon that helps, but in the end, I never know for sure what they’re pouring into my truck. I’d do the job myself, but I work hard every day as a roofer and by the time I’m ready to go home and rest, I’m ready to go home and rest! But that hasn’t always been fair to my truck. I know that, and a few times the problems that have arisen came, it turned out according to a pretty good mechanic I know, to be cheapo oil that quickly began to break down under a load of old roofing being hauled away from a home. He advised me to make sure I patronized shops that used quality oil, but as I said, that just isn’t all that easy, and some of them not only cost a lot more but take a lot longer. I just don’t have an hour or two to sit in the office looking at tattered old magazines. At least there’s a pretty good taco truck next door to the mechanic, so I sort of enjoy an excuse to go there. And actually, the last time I stopped wasn’t for mechanical work at all. In fact, I didn’t even go over to the shop. I’d come by for a couple of tacos al pastor. Sort of BBQ pork filling with other goodies and more juice than any one person can handle. Naturally, after one of those encounters, I had to go next door to the mechanic’s shop to wash up and he was pouring something into the engine. I asked what that was and he said a customer had told him about this new additive called Polytron MTC and he wanted to try it. I asked him what Polytron MTC was and he told me it was an oil additive and the fellow who told him about it swore he got longer, cleaner engine life, better mileage and a really smooth running engine, something he hadn’t had in years. Yeah, I said, but how old is his car? The mechanic told me and I was astounded. The car in question was older than my pickup and after talking about it, I remembered having seen the old boat at his shop a couple of times. I said I thought maybe I’d better run down to the auto parts place a few blocks away but he told me it’s sold on line. Okay, I know today everything is selling online and although so far, I hadn’t bought much at places like amazon, it wasn’t so much because I didn’t like them. It was mostly because I just don’t always have money to toss around. I have to do a lot of thrift store shopping and my work on worn roofs certainly doesn’t require a suit and tie! The more I looked at the site and read about Polytron MTC the better it sounded, but hey, face it, lots of places make big promises. I started googling around looking for reviews. Turns out Polytron products are sold on Amazon too, and when I got there, I began to read some impressive reviews. And the great part is you don’t have to buy a fifty-gallon drum. You can get a bottle as small as 16 oz. If you have a shop, it comes in a five-gallon container as well. And Polytron guarantees its safety and usefulness I any engine, auto, boats, tractors, gas, diesel, 2-stroke, everything but foot pedal. They swear it will eliminate engine wear up to 95% and may help your engine last two or even three times as long it is might otherwise hold up. In the US, the government requires all fuel companies to reduce the sulfur content in diesel fuel. Ultra-low-sulfur diesel (ULSD) was mandated in order to reduce emissions. However, it has lower energy content which leads to reduced fuel economy (1% to 2%) and reduced lubricity. 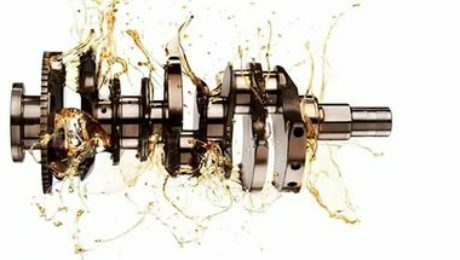 Lower lubrication is not good for engines and injector systems which need to be well-lubricated to function smoothly and for long periods of time. Polytron’s Gasoline/Diesel Fuel Conditioner (GDFC) has been formulated in such a way that it compensates for any reduced lubricity in the base fuel, whether gas or diesel, so as to ensure smooth running of engines. Polytron GDFC addresses the specific problem of lack of lubrication especially in diesel fuel. It conditions the diesel by adding or supplementing the properties that it is missing or lacking. Thus, it enhances the performance of the fuel and thereby that of the vehicle itself. 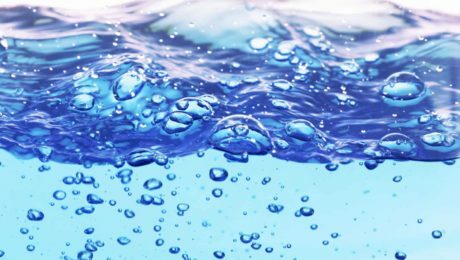 GDFC can also break down the surface tension of water that accumulates due to condensation in diesel fuel. GDFC can be used with any gasoline or diesel fuel. The lack of lubricity is especially a challenge for heavy-utility vehicles, like carrier/container trucks and pickups, that are wholly dependent on diesel fuel. Gasoline is more highly refined than diesel, so it requires lesser additives to improve its properties. Polytron GDFC is designed to make fuel combustion cleaner and more efficient. It lubricates the entire fuel system and the upper part of the engine as well as help remove carbon deposit and prevention of carbon build-up. Regular use ensures that exhaust pollutants are decreased by more than 50%. It is EPA registered. With all of these properties, GDFC enables better engine performance, which means that mileage can be improved to up to 35% more. Polytron GDFC is the best fuel conditioner for diesel engines because it only requires 0.1% by volume mixed to the fuel to be able to provide clean emissions, longevity to the engine, improved fuel mileage, and more horsepower and torque. This greatly reduces costs, expecially for companies or business’ that have big fleets of trucks that run on diesel. Polytron’s technologically advanced fuel conditioner does not include any viscosity modifiers or PTFE (Polytetrafluoroethylene) or Molybdenum Disulfide (MoS2). GDFC has been engineered to enhance lubricity and performance in low sulfur fuels, like diesel. Trucks and heavy equipment are a big investment for anyone. To avoid frequent repairs arising from wear, use Polytron GDFC to increase their life and performance. Use Polytron MTC along with GDFC for best results. Why do I need a fuel additive or conditioner? Grease is used to lubricate moving part in any type of machinery, be it in vehicles, small machines or heavy equipment. It is even used in simple machines, like door hinges, to make sure that the different moving parts interact smoothly with as little friction as possible. Grease is semi-solid, so it works in mechanisms where lubricating oils cannot stay in place. Application include all kinds of bearings and threads, ball joints, chassis points, and any type of surfaces that slide and rub against each other. One type of grease is the extreme pressure (EP) lithium grease. EP Lithium grease is a multi-purpose grease, which means it can be utilised in a variety of applications, such as in wheel bearing as well as the chassis of a vehicle. It is made from lithium soap stock, giving it the properties of chemical stability, good performance in extreme pressure and temperatures, and water resistance. These properties make it the perfect choice for multi-purpose application. It is suitable for general use as well as for lubricating heavy machinery like truck engine parts and minin equipment. Polytron does not use any viscosity modifiers, PTFE (Polytetrafluoroethylene) or Molybdenum Disulfide (MoS2). Polytron EP-2 Lithium Grease is made with lithium complex soap, high qualty base oils, and Polytron’s proprietary anti-wear friction formula which forms a polished and hardened micro-layer on metal surfaces to reduce friction and decrease wear and corrosion. The 90% decrease in wear enhances the life of the metal parts by up to a hundred times, leading to 60% lesser maintenance and up-keep costs. Since it is a lithium complex grease, it is able to withstand high pressure and temperature. Machinery will last longer due to protection from extreme environment as well as from water and other contaminants. As you can see, Polytron EP-2 has a wide range of application and can serve as all-purpose grease. Polytron EP-2’s superior quality is also evident in the fact that it can be used in electric motors with NEMA insulation class A and B. Viscosity of the EP-2 is highly dependable due to its chemical stability. This means that it will not soften quickly when applied in parts that move in high speed, like in rolling contact bearings. The bearings are also protected from contamination because Polytron EP-2 acts as a good seal. 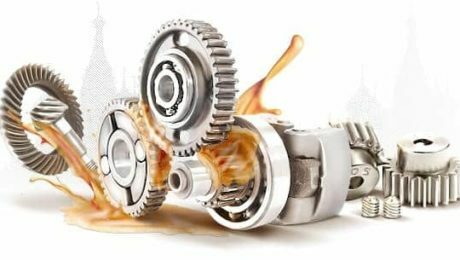 Lubrication and reduction of contamination and wear leads to better efficiency of machinery and lower consumption of energy. I have nearly 500,000 hard driven miles on my 1978 Dodge pickup. Over the years I’ve used just about every kind of motor oil and I’ve also tried the different fuel additives that promised a lot of hype they never delivered. Polytron guarantees that you’ll find no strange materials such as graphite, lead, copper, ceramic or things like molybdenum (whatever that is!). The takeaway from this little blog is I’m casting my vote for Polytron. It’s the real thing.